Do you do a lot of holiday baking? Does someone on your holiday gift list? My mom and I love to bake. For years, we’ve been baking cookies and other treats to give as gifts. It’s something I look forward to every year! Nonetheless, it is time consuming and labor intensive. It got much easier the year my dad bought us a KitchenAid Stand Mixer. 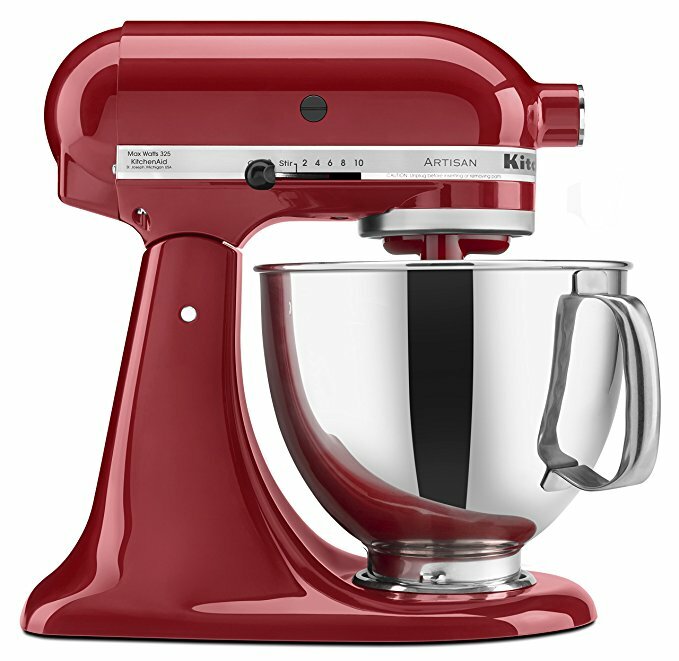 This stand mixer alone saves so much time. 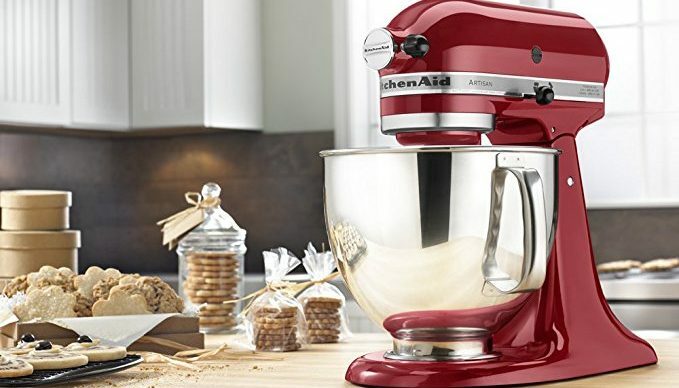 It will mix one dough for up to nine dozen cookies, while you start on the next cookie type. It also has attachments to make bread and homemade whipped cream or meringue. My favorite feature is the spatter proof lid. We used to make a mess trying to whip mashed potatoes on Thanksgiving, With the KitchenAid stand mixer, that wall mess is gone! The bowl allows you to make up to seven pounds of mashed potatoes at one time. Not only that, the bowl and attachments are dishwasher safe! Once you get one, you’ll wonder how you lived without it. While it’s used frequently during the holidays, we use it all year round. Plus, it comes in a variety of cute colors so you can get one to fit the recipient’s personality and kitchen. More importantly, Amazon has this must-have item on a major 40% off sale right now. It lists for $429.99, but you can get one now for $259.99. Buy one today as a early gift and start baking. You’ll be glad you did!